Now this unique opportunity to become an PTR member and be internationally certified is available in India at special promotional rates and is much cheaper than anywhere else in the world. Participation in Workshop I leads to PTR Certification and membership. By becoming an PTR member you can further participate in the Awards ceremony, PTR Championships and Specialty Workshops which offer further educational opportunities. In an unprecedented tie-up with the world renowned Professional Tennis Registry (PTR), the Peninsula Tennis Academy has brought this internationally acclaimed organisation to India. The PTR is the premier Certification organisation in the world for a tennis coach and has more than 10,500 members worldwide in 123 countries. Founded in 1976 by Billie Jean King and Dennis van der Meer, PTR certifies tennis teachers through internationally recognized teaching methods. The PTR is internationally recognized - it is recognized by the ATP Tour, WTA Tour, USTA and International Tennis Federations around the world - as such through the PTR members have unrivalled global job opportunities and is of immense benefit to coaches. Through PTR, members will also have access to the latest coaching equipments, Tennis Magazines, Educational Manuals/Videos and special discounts on sporting goods / clothing and accessories from our local /international sponsors. Members will be eligible for participation in the PTR INDIA Tennis Championships. * International Master Professional * Master Professional * Professional * Instructor * Associate Instructor. 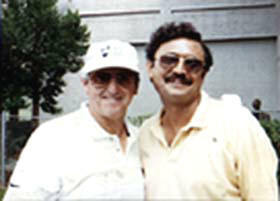 Bobby Singh, Director Peninsula Tennis Academy is also the Director for PTR (USA) in India. Professional Certification and worldwide recognition - is the premier Certification in the world for a tennis coach. Indian coaches are now an integral part of the worldwide PTR network and receive Certificates, Membership cards, Tennis Badges, Tennis Magazines, and a Worldwide Membership Handbook. 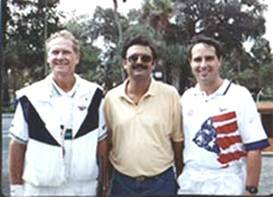 They are also invited to attend the International Tennis Symposium and the $ 25,000 Tennis Championships held annually at Hilton Head, USA in Feb each year. To be considered for the “PTR India Coach of the Year” Award for 2013, please send us your list of achievement in coaching by 1 November 2013. This award recognizes the oldest PTR India member. Capt. 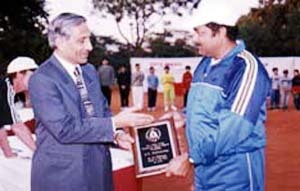 Sunny Jacob won the inaugural award in 1999 as he had been a member for over a decade. To apply for the award you must be a current member and must indicate on your application as to when you became a member of the PTR. Last date for applications is 1 November 2013. 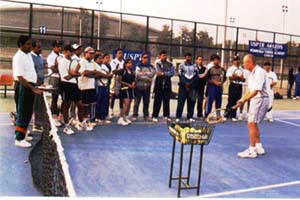 Tennis Teacher Workshop I PTR Certification for new applicants only. Junior Coach Workshop Certification workshop for markers/assistants.